Key Master Giant will test your player's skills as they try to unlock prizes by putting the key in "just" the right spot! Easy to understand and fun to play! 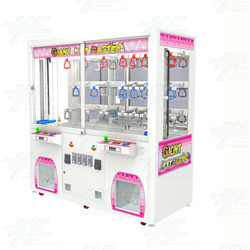 It's the perfect prize vending game for all ages!